Crows Feet Dance Collective, Wellington region’s unique community dance company for mature women, celebrates its’ 20th anniversary this year with The Witch Project. Jan Bolwell founded Crows Feet in 1999 starting with 4 dancers. It has now expanded to over 40 dancers in 4 separate companies in Wellington, Lower Hutt, Kapiti Coast and Palmerston North. And so Crows Feet was born. 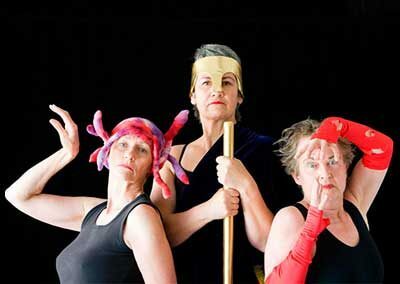 Crows Feet Dance Collective pioneered the creation of dance opportunities for mature performers in New Zealand. Now there are numerous similar groups scattered up and down the country. To celebrate their 20th anniversary Crows Feet Dance Collective is presenting The Witch Project – an exploration, through dance, of how & why women have been depicted as witches throughout the ages even today. 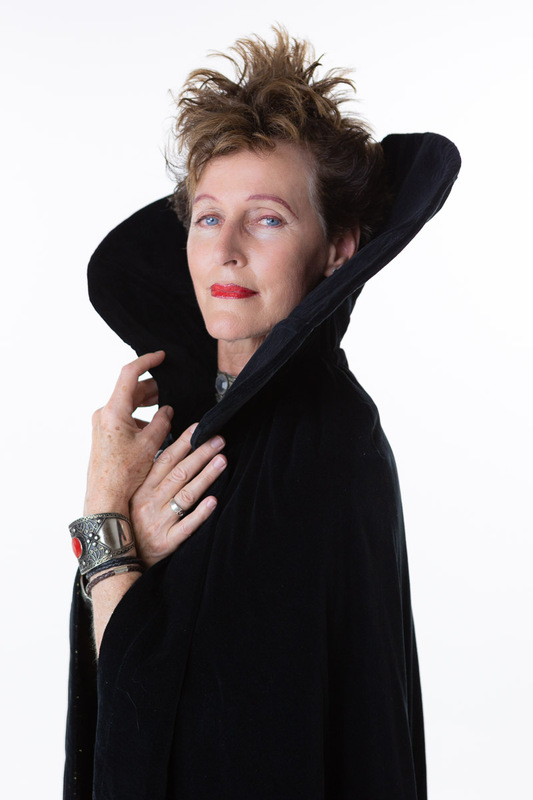 The fascination with witches continues today through film, television and books. Demonising women as witches has a long history that still occurs especially with powerful women. Ex- Australian PM, Tony Abbott, saw fit to stand in front of a poster about Julia Gillard that screamed ‘Ditch the Witch’. Speaker of the American House of Representatives, Nancy Pelosi, has been depicted by Republicans as ‘The Wicked Witch of the West’ and Hillary Clinton was accused of having demonic qualities in the last US presidential election. Theresa May is now subject to similar tactics. 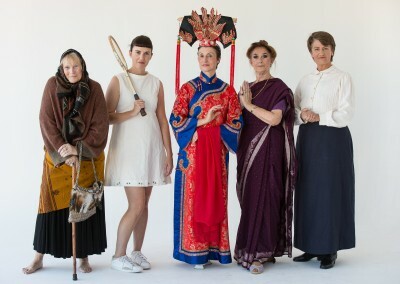 In The Witch Project’ the Crows Feet dancers canvas this long history in a series of dances that are provocative, serious, amusing and ultimately a celebration of female strength. 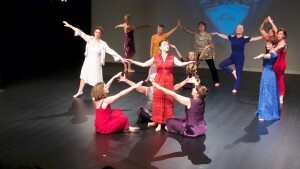 Crows Feet Dance Collective celebrates its 20th anniversary this year. We have grown from a little group of four dancers to four separate groups with over forty dancers. Our four groups are based in Wellington, the Kapiti Coast, Lower Hutt and Palmerston North, New Zealand. Any woman can join, provided she’s over 35. There is no entry requirement. Previous experience is not necessary and the groups are a mix of experienced, less experienced and beginner dancers. 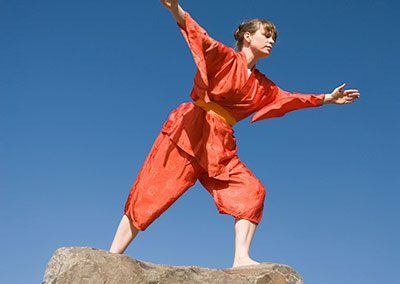 Nearly every year since 1999 we have performed a new programme of contemporary dance. We now have a repertoire of about thirty dances. 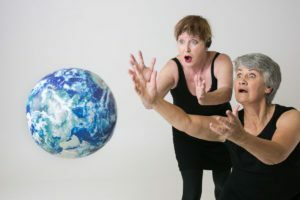 Jan Bolwell is the director and main choreographer, but dances are also created by the directors of the Hutt Crows (Carolyn McKeefry) and the Palmerston North Crows (Tania Kopytko). 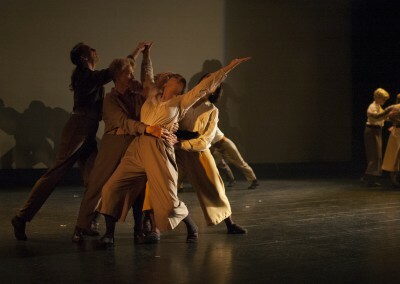 We have also had guest choreographers such as Sacha Copland, director of Java Dance Company. For our twentieth anniversary we are creating a show called ‘The Witch Project’ that examines the way women have been depicted as witches throughout history and still today. Gadja Productions supports contemporary choreographers in the development of their projects and the promotion of their work on the international level. 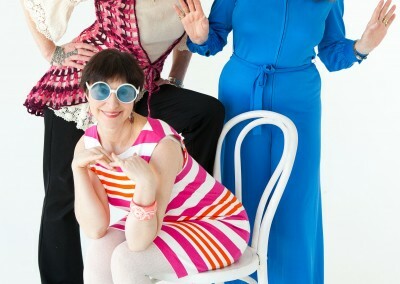 Crows Feet’s first public performance took place in 1999 at the launch of Osteoporosis New Zealand at the Michael Fowler Centre. 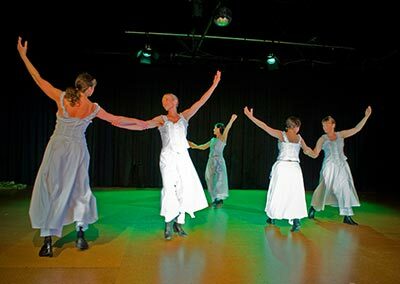 Apart from annual dance concerts we have performed at a number of different events, including a National Midwives Conference, a National Women’s Convention, and a Cancer Society conference (2008). We are regular contributors to Wellington’s International Dance Day, running classes and demonstrations. 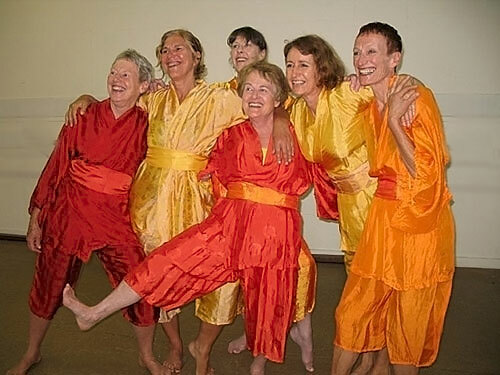 In 2008 we performed at the Fringe Festivals in Wellington and Dunedin. Crows also took their show ‘Hakari – The Dinner Party’ to the Tempo Dance Festival in Auckland 2016.